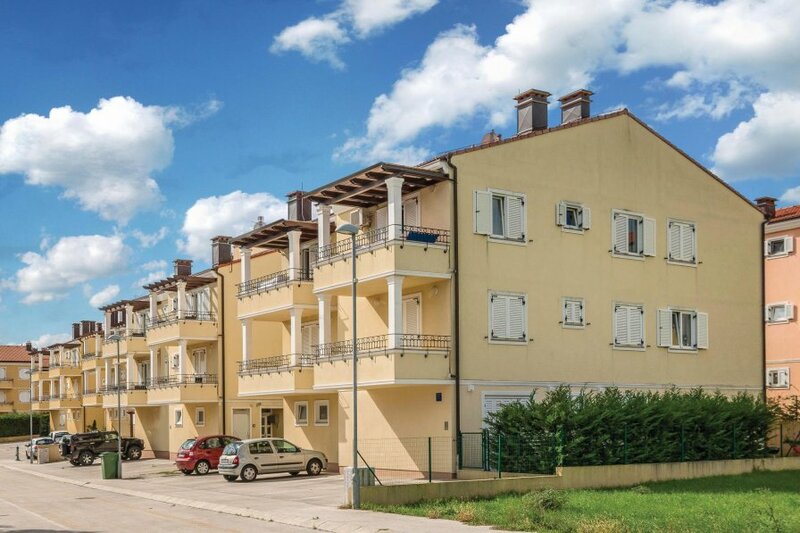 These twenty holiday apartments are located on the outskirts of Pula, in the residential district Valdebek. They are modern furnished and correspond to today's standard with WiFi. This beautiful modern apartment is made from brick or stone and was originally built in 2008 and refurbished in 2016. The agent has rated it as a four star property so it is a well-equipped apartment with above average furnishings. It is also great value for money. The apartment is only 3km from Pula. It is set in a convenient location, 3km away from a stone and pebble beach. There's also a restaurant only 500 metres away.